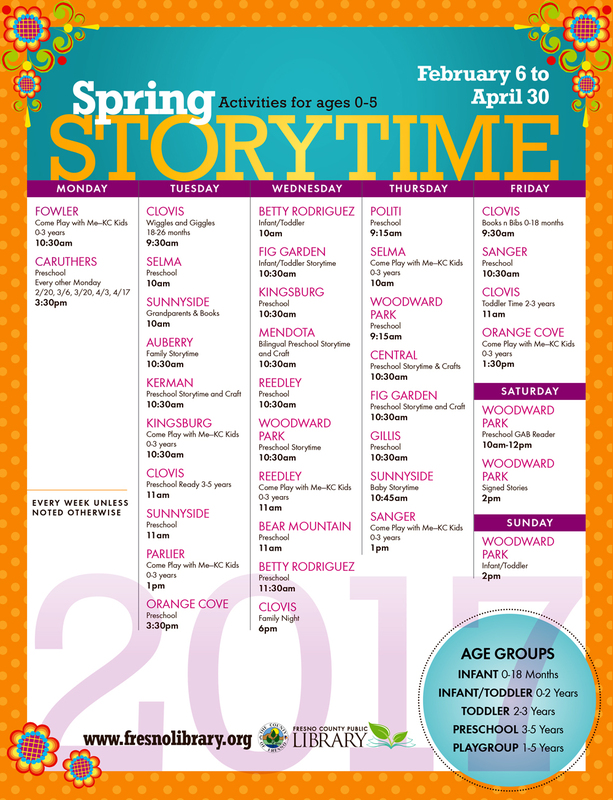 Spring Story Times are coming to a branch near you! 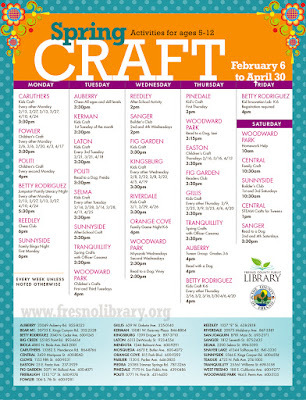 Click the flyer below for locations and times. 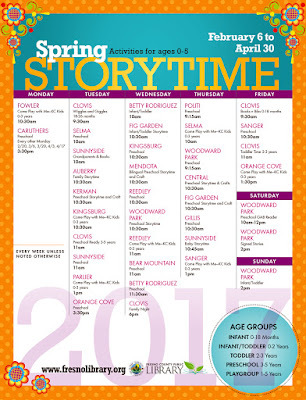 We've got some great Spring activities lined up as well. 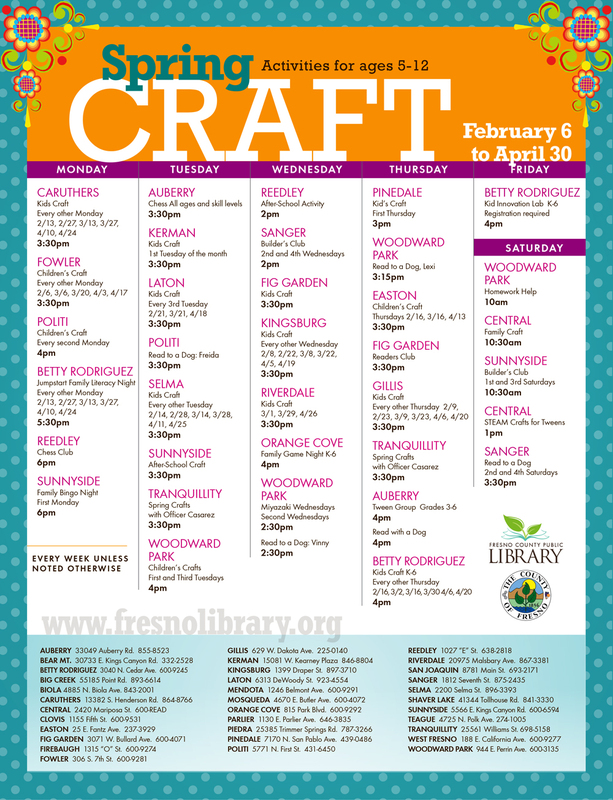 Through April 30, at select Fresno County Public Library branches, kids can make some cool seasonal craft projects, play games, read to a dog, watch Miyazaki movies (anime), do fun science stuff, and more!